Hello!! Hope your day is as good as it can be! 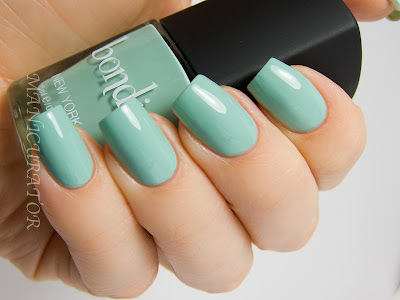 "Launched in 2013, Bondi New York is a collection of twenty fashion forward colors that are five free (formaldehyde, formaldehyde resin, camphor, toluene and DBP). Based out of New York, our brand is American made with all of the net profits going to our non-profit foundation which supports a wide variety of charitable causes throughout the United States." from their website. Love that! A company that gives back is worth supporting for sure. Here's their website for info and shopping bondinewyork.com. Like them on facebook and follow on twitter for pics and all the latest bondi news. Bondi retails for $15USD for 15ml bottle. I decided to embellish the tips with China Glaze Tart-y For The Party and use it for my Nail Challenge Collaborative - April "pastels" theme this month. The formula on application on this was pretty good! 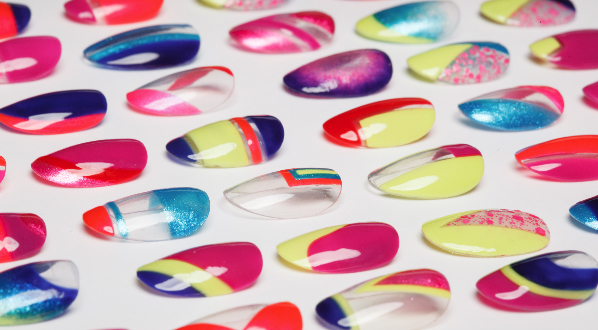 A little bit thin, so you need to watch for pooling, but full of pigment and doesn't bulk up on the nail, if you know what I mean. I needed 2 coats for this and a 3rd in some spots just to even out. No problems with streaking or dragging. I really love it and fits the minty trend perfectly. I have HK Girl top coat on these swatches. A simple look, but it felt elegant and perfect for Spring. Another one I didn't want to take off! *Products provided for unbiased review consideration. Love purple and green together. This looks beautiful. Your nails are just perfect! I must have this green so pretty. Love these two together! I recently wore Lady Liberty and really liked it. These colors look great together! 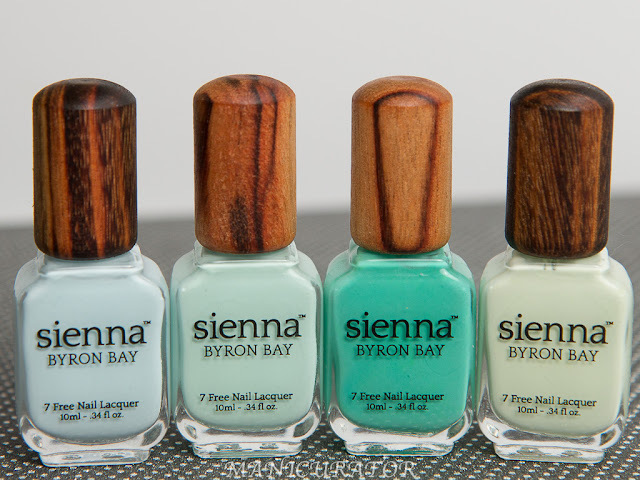 The combo is great - I have the same Bondi polish and I LOVE it!